A restaurant taking your dining experience to a whole new level. 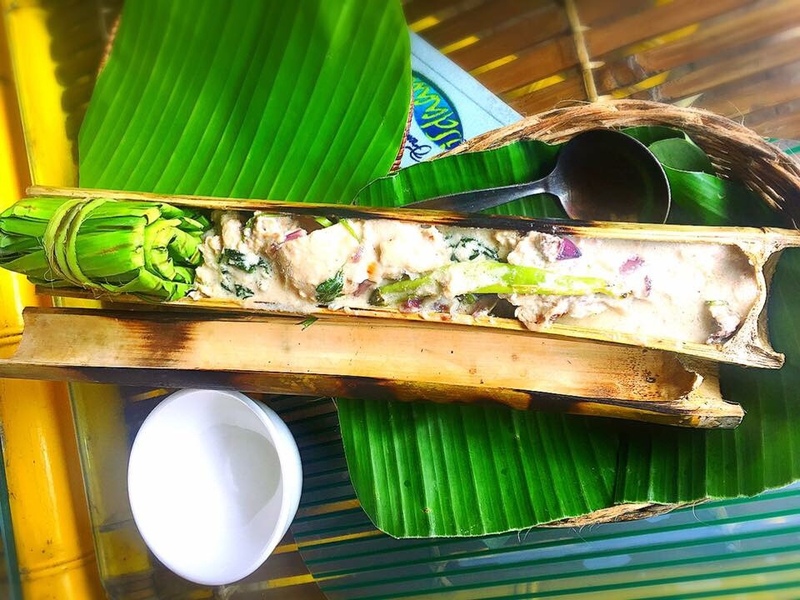 This place will bring you a vibe of being in another country and yet still serve an authentic Filipino food. Definitely not your typical restaurant! 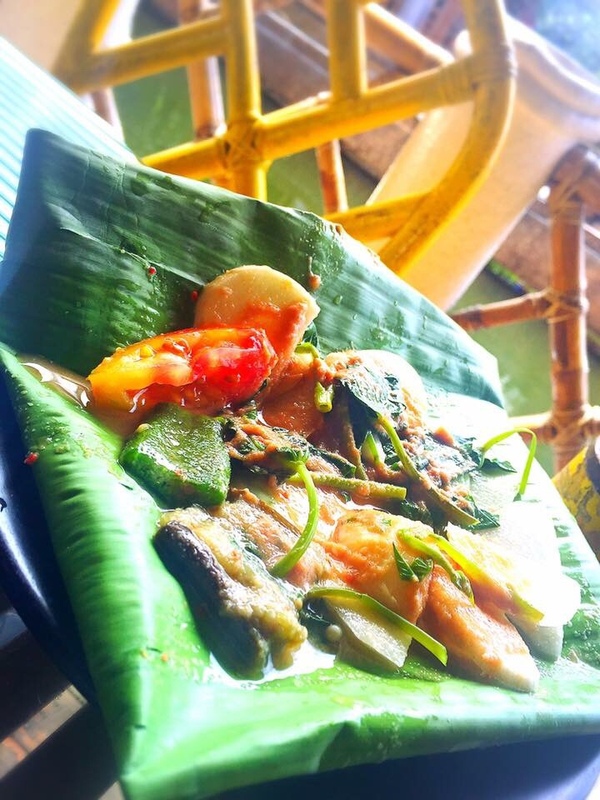 Isdaan Floating Restaurant has two major locations. One in Calauan, Laguna and the other is in Gerona, Tarlac. Proximity in consideration, we decided to visit the one in Laguna. Take a bus with the signage “Sta. Cruz” in the terminal located near the Buendia LRT Station. 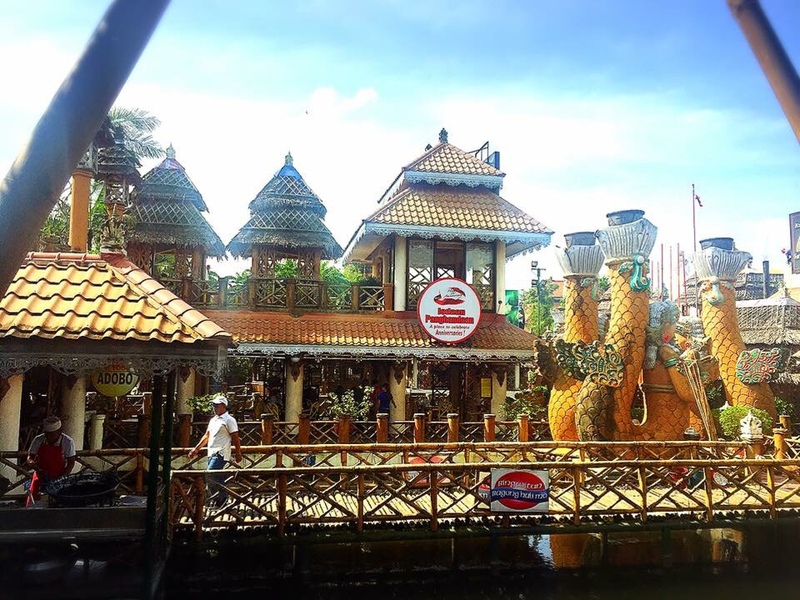 Inform the driver to drop you off at Isdaan Floating Restaurant which is approximately 2 hours ride. 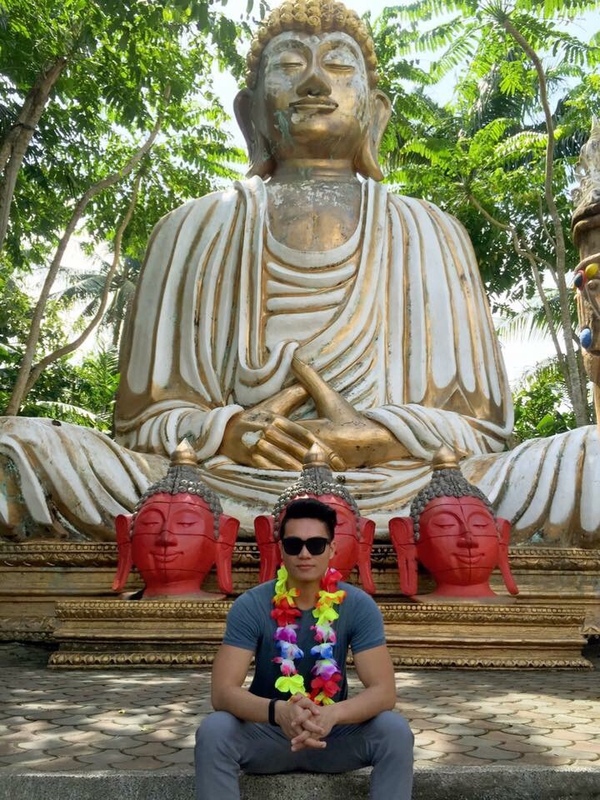 The place is just along the highway and the towering statues of mermaids and buddhas will tell you that you’ve reached your destination already. Fare is P112. Isdaan Floating Restaurant creates an ambiance that will make you feel you are dining in Thailand. 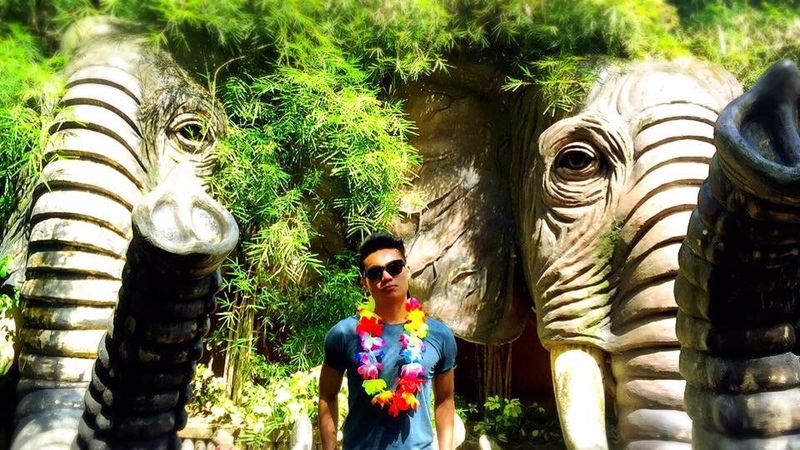 Upon arrival, you will be welcomed with big Thai inspired mermaid statues while you are being greeted by the usherette with a necklace made out of a garland of Hawaiian flowers. 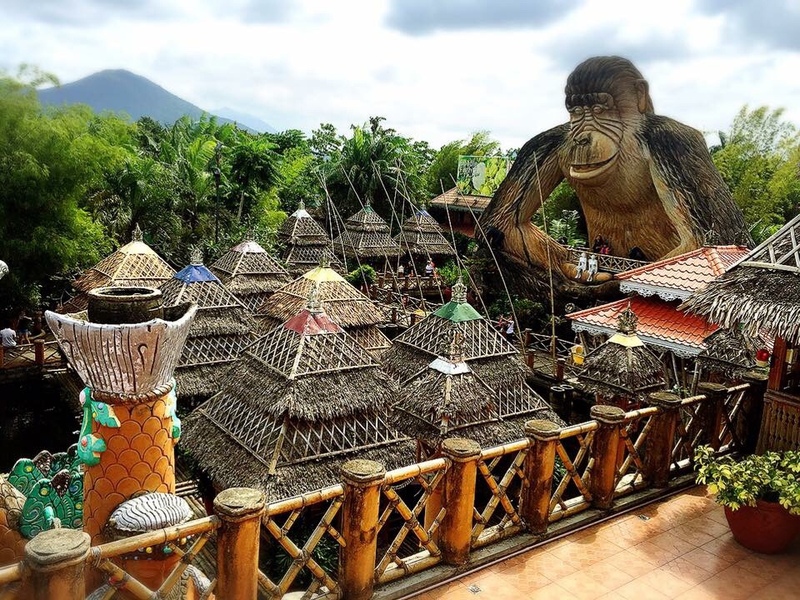 You can choose to stay in a floating nipa hut or stay in the reception hall that’s near the stage where cultural and acrobat performances are being held. We decided to stay in the reception hall which is just right after the bamboo pathways near the entrance. 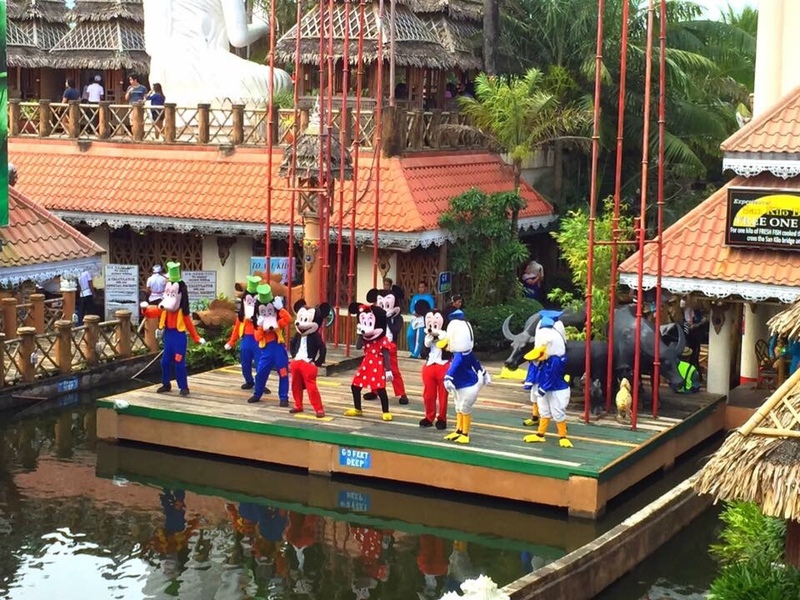 You can also avail the FREE boat ride and enjoy the displays around the watered area. And just give Php20.00 tip to the bangkero. Get lost with more of its artistic designs and decorations. Bring out your inner child while taking pictures of some cartoon characters. No entrance fee. 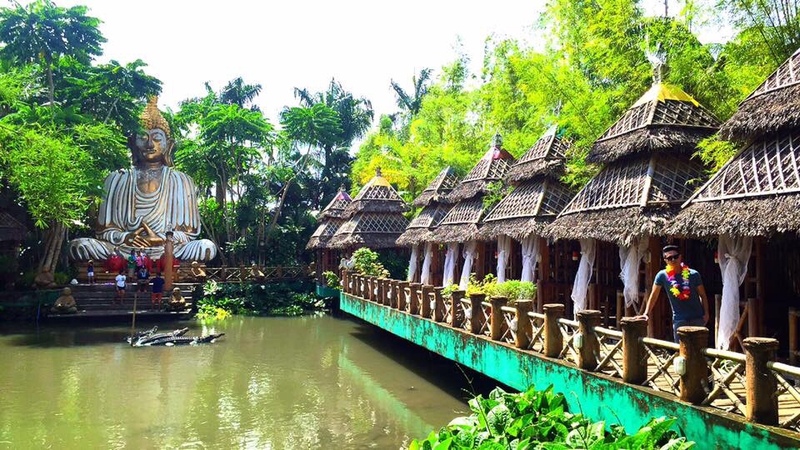 All you have to do is to eat at Isdaan Floating Restaurant. And you have to be early because the queue gets a little longer especially on weekends. Food serving takes a while. 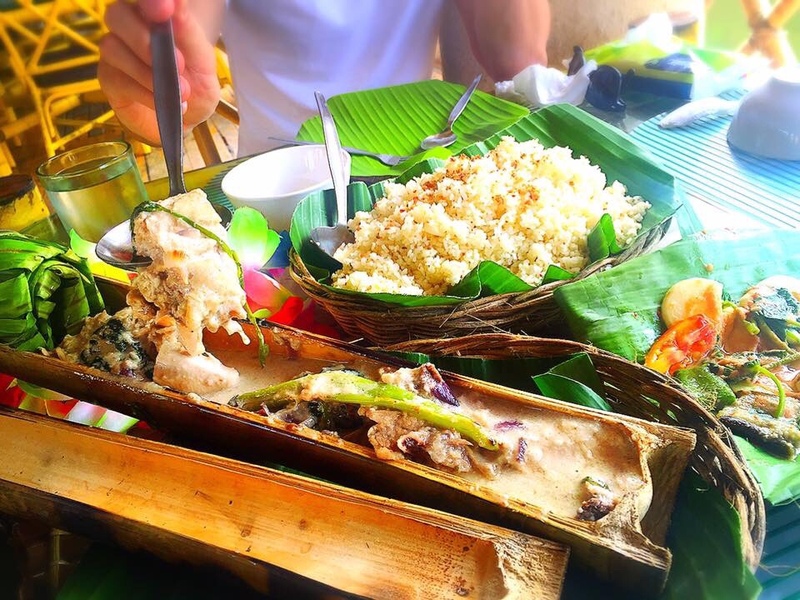 But the food is definitely worth the wait since it is being operated by Barrio Fiesta group of restaurants known to be serving quality food. Thanks to those who posted their reviews (most gave the same feedback about the serving wait time) as we were able to manage our time efficiently. While waiting for our food, we tour around and found more reasons to fall in love with the place. It took 40 minutes before the food was served. But we did not notice it since we were busy taking pictures and enjoying the sights. After satisfying our eyes, it is time to feed our growling tummy! 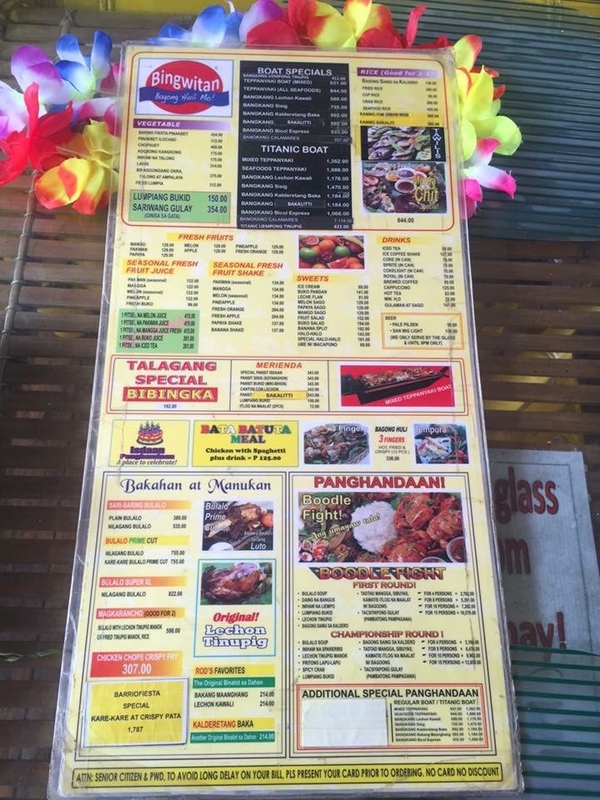 We ordered the Pinukpok Manok (P298.00), Tacsiyapong Gulay (P171.00) and Fried Rice (P206.00). 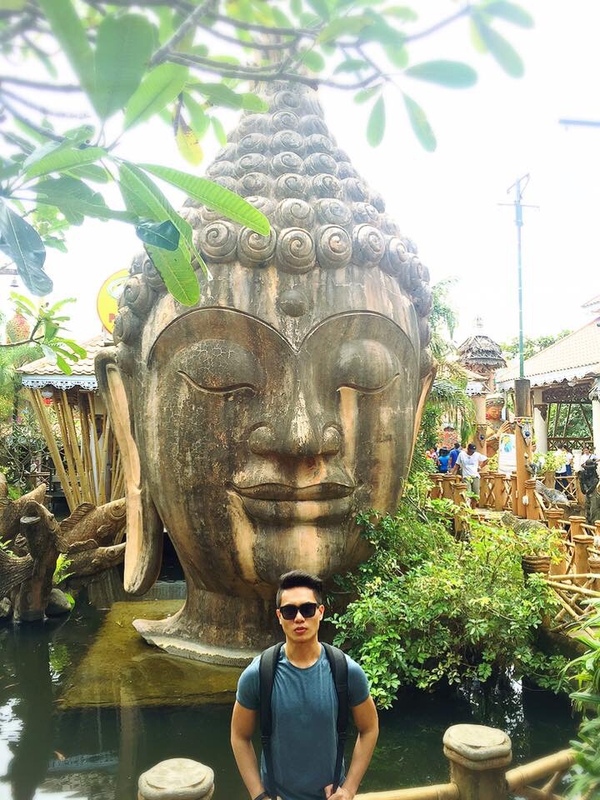 Get amused with the huge Buddha statues and displays! Perfect for picture taking! 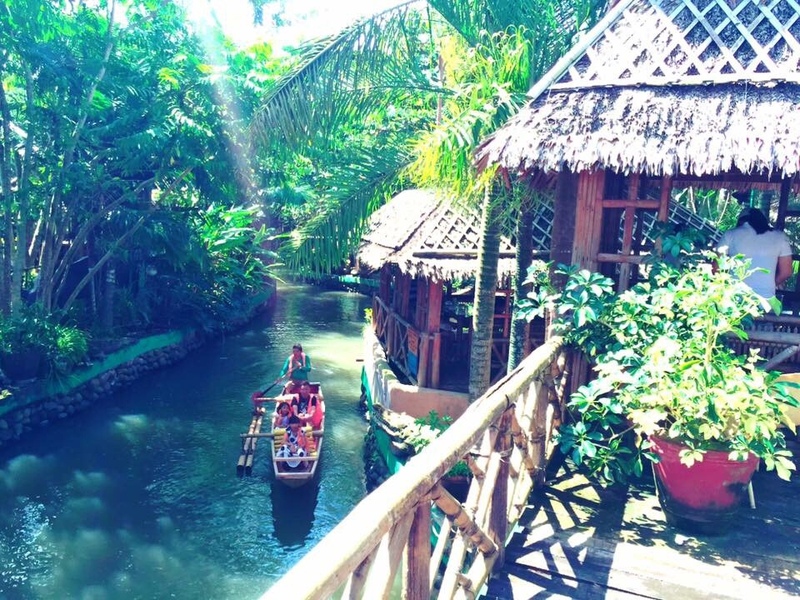 Overall, Isdaan Floating Restaurant has a good view and feel that’s Instagram worthy. The food is good but a bit pricey and food serving takes a while. But it offers dining with a twist which is a must try. A refreshing dine-in experience I would recommend. I like your blog. Very informative. Question po. May parking po ba dun? Yes. They have a big parking space in front of the restaurant. The place is overrated but worth a visit. 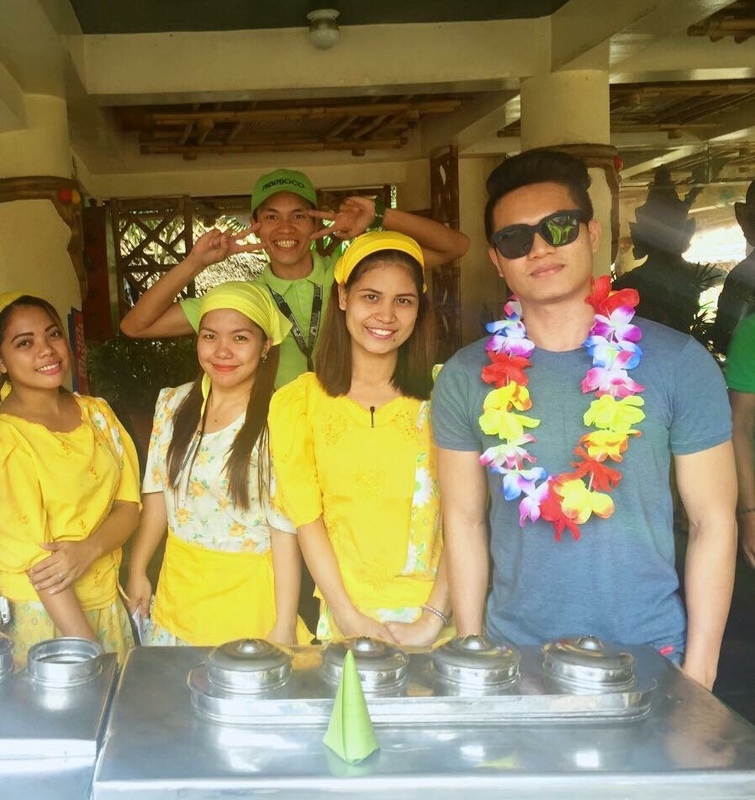 If you are looking for a perfect venue to bring balikbayan relatives, Isdaan is defenitely a recommended place to be. 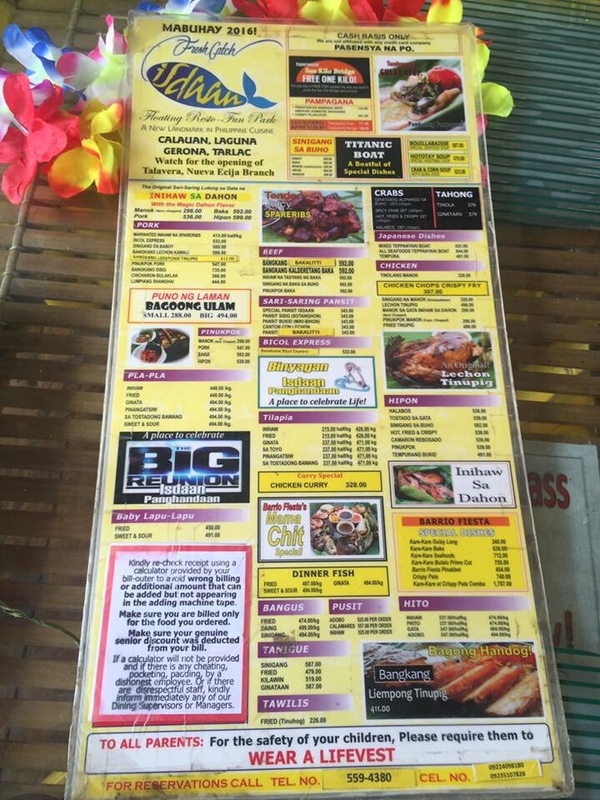 We went there with my ofw tita and the food was great. The kids enjoyed the attractions there. I’m glad that you an your Tita enjoyed the place. It’s definitely a good place to bring kids. Tagal ko nang gustong pumunta dito. Yung lake o river po ba smelly? No. The water is not smelly. The place is pretty much well maintained. We were there last weekend. The place is a bit crowded. Probably because it’s holiday. The food is average but the attractions will compensate. Thanks for publishing this article. We used this as our guide. Welcome! I’m glad to know that my blog was able to help you. Kindly check the rest of the articles I published for more places to visit. Thanks. Hi Christine. The restaurant is not affiliated with any credit card company. They only do only cash transactions.